Years ago a woman came to my office and confessed she had inappropriate physical contact with one of our pastors. I called the pastor into the office and asked if what the woman had said was true. He said that it was, and though it had happened a year earlier and he had immediately recognized it as sin and nothing further had happened, he had never told anyone of his sin, including his wife. Right then and there I had a decision to make. It would have been very easy to cover for this pastor. I could have said to them both, "Look, the kingdom of Christ and our church will be damaged if anybody else finds out. Let's work through this privately, confess and repent to each other privately, and move on." But I didn't. The problem with the "cover-up" mentality that pervades the church is the Holy Spirit is deprived of some incredibly powerful cleansing and healing in situations where His people have morally failed. We worked through this issue privately with the families and loved ones involved in the sin, but I knew if the pastor were to continue in ministry there would have to be a public confession of his sin and repentance, a public expression of our church's forgiveness, and a well established process of restoration and reconciliation for both this man and his ministry respectively. We followed the path outlined in Galatians 6 and Matthew 18 and began to restore this man's marriage and his pastoral ministry. 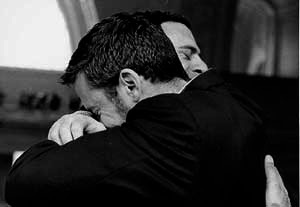 After confessing his "inappropriate physical contact with a woman not his wife and conduct unbecoming a pastor" to the entire church on a Sunday night, the pastor tearfully acknowledged that God was using his sin and the exposure of it to break him of pride, show him what was really important in life, and placing him in total need of God's grace to even continue in any kind of ministry. He knew reconciliation with his wife was primary, and were he ever to return to ministry, it would have to be a decision of the church. Of course, everybody thought the sin was worse than it actual was (there was only touching and kissing on one occasion), but we were uninterested in trying to justify the pastor's behavior or making him look better in other peoples' eyes. And, to the broken pastor's credit, he didn't care that people thought he was a serial adulterer because in his mind, what he did was just as bad. That's the sign of true brokenness. Our church family publicly and enthusiastically expressed forgiveness for this pastor that very night. We then set him aside from ministry for six months without pay, helped him find a custodial job to support his family in a neighboring shopping center, and set up a discipleship and recovery team for both the man and his wife. Had the sin been a crime, obviously it would be far more difficult, if not impossible, to restore the pastor. Frankly, we would have encouraged prosecution were that the case, because God uses the courts as "ministers" to bring about His purposes. But because of the nature of this particular situation, our goal was complete reconciliation of the pastor's marriage, and full restoration of the pastor's ministry. We told the church that after six months the leadership team assigned his recovery would come back with a recommendation on whether or not he could and should be restored to pastoral ministry. Those six months were hard. Not just for this man and his family, they were hard on me. I had people saying we were too tough on the man for forcing him to confess his sins publicly. Others said we should have kept his sin quiet and helped him find another church. I had others, including one very vocal deacon, tell me that if this man were ever restored to OUR church in terms of ministry, he would leave. He wanted his pastors "blameless." But we stayed the course. There were weekly meetings and counseling sessions, we reached out in love to the broken family, we made sure that there was food on the table because the custodial wages from the local shopping mall were quite meager. After six months we had a restoration service. The man shared his testimony of brokenness because of sin, restoration because of grace, and what God was now doing in his life, his marriage, and his outlook on the world. His wife shared. The restoration team shared. It was one of the most moving, meaningful services in the history of Emmanuel. There was not a dry eye in the service. Remember, this is 180 days after his public confession. The church voted that night to make the man part of our pastoral team again and he served our church with distinction and honor for several years until called away to be Senior Pastor of a large metropolitan church. In the end, this pastor had changed. He turned from being a legalistic, proud, often angry moralist, to a soft-hearted, grace-oriented, lover of people. Because we loved him enough to help him deal with the issues that led to his sin, he knew Christianity was more than a religion--it's about soul transforming relationships. Because we stuck with him for six months of healing instead of shoving him out the door, grace became more than just a word. Because we restored him to ministry and saw him become a more powerful and effective proclaimer of the gospel of God's grace, this man continues to impact not just Oklahoma, not just this nation, but the world for Christ. This man continues to be one of my best friends to this day. I love him like a brother and I would literally die for him or his family. You see, friends who love you don't cover-up your sin; they help you deal with it. Friends who love you don't act as if you haven't sinned, they love you through recovery from your sin. Friends who love you will help you take the necessary steps to be restored in terms of ministry. By the way, remember the deacon who was so upset for restoring the pastor after his sin? I performed his funeral a couple of years ago. When he was very sick, before he died, he grabbed me by the hand, tears in his eyes and said, "Pastor, I couldn't have been more wrong when I told you I would leave the church if we restored Pastor _____ to ministry. I want to thank you for leading our church into an understanding of how to confront sin and not only forgive the sinner, but restore the sinner to more effective ministry. I always thought I knew what grace was, but it was only when I saw it in action that I really came to understand the grace of God in my life." When the Apostle Paul uses the word "restore" in Galatians 6 to describe the process through which broken sinners are brought healing through gracious people who care enough to confront, he uses a medical term that describes a bone that has healed through being reset. 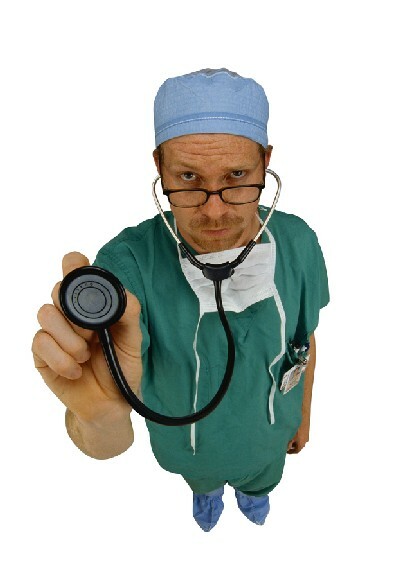 Doctors will tell you that "restored, mended" bones are stronger than they were before they were broken. My prayer is that we conservative, evangelical Christians will (1). Stop playing our little religious games of cover-up, (2). Cease the erroneous rationalization that "friends" ignore sin and defend the sinner, and (3). Begin the Christian art of restoring a brother by confronting, helping him to confess publicly and clearly his moral failure, and then work hard to endure the process that leads to restoration. In the end, we all will be spiritually stronger because of it. Last year the Washington Post took me to task for praying during the opening of the Oklahoma Senate that "only believers in God be leaders in our democracy." The Post, a paper not known for its conservative moorings, considered me a Christian Fundamentalist. The religion editor falsely opined that I had "disdain" for "atheists and secular humanists." It's not the atheist or humanist that I "disdain," its their principles. It seems that the far left has as difficult of a time distinguishing between principled disagreement with another's beliefs and personal disdain for another's person. True Christians love people, even their enemies, but are fearless when it comes to pointing out unrighteousness. Ironically, the Washington Post editorialized yesterday on the Ergun Caner situation, and it is likely that the editors may have missed the most astonishing aspect of the story. It's not Muslims, atheists, or secular humanists who called Liberty to bring accountablity to the Ergun Caner situation, but conservative, evangelical Christians. 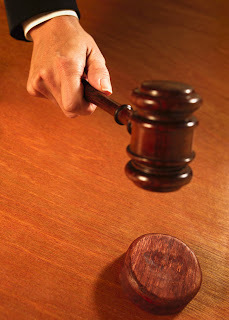 The Word of God states "It is time for judgment to begin with the family of God" (I Peter 4:17). For too long, we conservative evangelicals have refused to police ourselves. A new day is dawning, and Christians have taken their rightful place in holding one another accountable to the gospel we preach. What is the gospel? We are all sinners, and Christ grants His grace to those who confess and repent of their sins and trust in Him. "You shall call His name Jesus," the angel said, "for He shall save His people from their sins" (Matthew 1:21). Christ doesn't save us and leave us in our sins; Christ doesn't save us and call us to cover our sins; Christ delivers us from our sins. 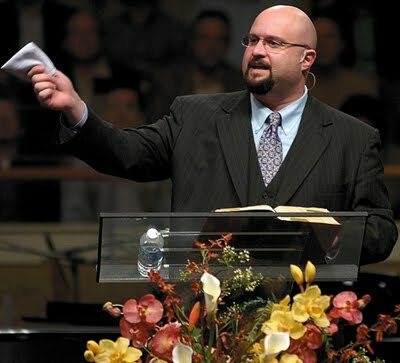 Yesterday, the Southern Baptist Fundamentalists at SBC Today went after any Southern Baptist who has publicly stated their refusal to believe Ergun Caner has been "exonerated" by Liberty's decision to remove him as President of Liberty Seminary through the Committee's public acknowledgement that Caner gave "factual statements that are self-contradictory." The tactics taken by SBC Today show the dark and ugly side of religious Fundamentalism. They (the tactics) form an antithesis to the commands of Christ, and unless called out and stopped cold in their tracks, will lead to the total and final destruction of the Southern Baptist Convention. Tactic Number One: If a Fundamentalist is losing influence, he will lie about his opponent. James White, a professor at Golden Gate Seminary, is a recipient of such tactics. The leaders of SBC Today publicly declared: "Dr. James White also accused Dr. Caner of not being a former Muslim." SBC Today gave no citation, no evidence, not one shred of proof for their claim. In fact, the statement about James White was a bald faced lie. James White has never claimed Ergun. Caner was not a Muslim. He has only questioned the contradictions in Caner's testimony. James White himself came into the comment stream and asked for evidence that he ever said or wrote such a thing or retract the statement. No evidence was provided by SBC Today, but no retraction was made either. And, by the way, a very sagacious comment by James White that irrefutably revealed the illogic of SBC Today's accusation was deleted by SBC Today. Tactic Number Two: If a Fundamentalist can't answer a question from his opponent, he accuses his opponent of malevolent motives, dishonorable intent, or godless character. For example, Les Puryear claims people questioning Caner have "hatred" in their hearts the way people had hatred in their hearts when they crucified Jesus (see comment #1). Robin Foster calls those who question Dr. Caner's contradictory statements "abusers" (see comment #28). Tim Rogers calls Christians who question Dr. Caner's testimony "godless" and "slanderous" among other things (see comment #35). Craig Deliassio calls Christians who question Caner's embellishments "pathetic heretics" and says he will physically hurt them if he ever meets them (see comment #38). Tactic Number Three: If a Fundamentalist is personally hurt or embarrassed by the words or actions of another, he will invoke God's judgment on the one who brought him hurt. "I know God takes no pleasure in the death of the wicked but right now if one of these unsaved charlatans died I’d have to force myself to remember what I believe about hell and make myself be sorrowful for the fate of their souls." Tactic Number Four: If a Fundamentalist is losing a debate because of a lack of logical defense, he will invoke the name of a Fundamentalist superstar to end discussion. 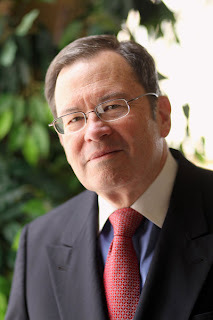 "If you have problems with me using “exonerated” as my choice of words then you have problems with one of the greatest and most respected apologist in the Evangelical world–Dr. 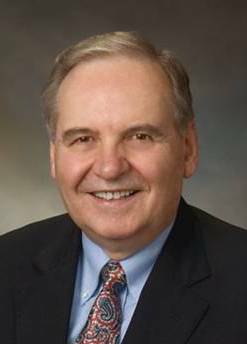 Norman Geisler–he has used the same word." Tactic Number Five: If a Fundamentalist feels like he's losing control of an institution or a hold on the minds of people, it's always the kingdom of Christ that is being damaged. SBC Today cheerleaders stated in the comment section about those questioning Caner: "These people want to destroy Liberty University!" It can never simply be Christians wanting to hold other Christians accountable for their actions. There must always be some other malevolent intent. I would encourage every Southern Baptist to read SBC Today's post and comments entitled "To Clear From Accusation or Blame." It is the best, most visible example of why God must intervene in the Southern Baptist Convention and save it from the philosophy and tactics of Fundamentalism, or the SBC will die a slow, tortuous and angry death. I appreciate the work you have accomplished on behalf of the Kingdom in areas of philosophy and apologetics. Your textbooks and manuscripts will help numerous generations of evangelicals understand why they should believe what they believe. I am pastor of a church in Oklahoma. One of my church members, a truck driver’s wife by the name of Debbie Kaufman. Debbie had become acquainted with a Muslim who was questioning Dr. Caner’s Muslim background. Her goal was to build a friendship with this Muslim man in order to share Christ with him. During the course of her online conversations with this Muslim, Debbie herself began to wonder about Dr. Caner’s Muslim background. She eventually wrote a few posts of her own, questioning Dr. Caner’s testimony and background .... Debbie felt it important that Christians ask some of the same questions the Muslims were asking because she saw validity in what was being said. As you know as an apologist, truth is truth, regardless of who speaks it. 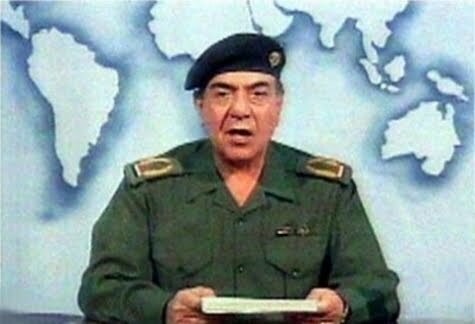 Now that the Liberty Committee assigned to investigate Dr. Caner has officially concluded that he has given “factual statements that are self-contradictory” and removed him from the Presidency of Liberty, would you be so kind as to issue a second public statement that will exonerate people like Debbie from the label of extremist and slanderer? I think it would be helpful to Debbie and will go a long way toward repairing her reputation as well as her confidence in evangelical leaders such as yourself. Since my post today, Dr. Geisler has emailed me personally. He has reiterated his belief that Ergun Caner's "factual statements that are self-contradictory" are simply misstatements. He also said I am misinterpreting Liberty's official statement since Dr. Caner has been exonerated by Liberty. I believe you will find there is disagreement over what you call a “few misstatements,” for some believe that those misstatements represent an intentional embellishment of one’s testimony and background for the purpose of self-advancement. In other words, it’s hard to understand how the public and well documented “factual statements that are self-contradictory” are anything but intentional lies to create an aura of personhood and/or personality that has been fabricated and is not real. In other words, it’s hard for a typical mid-western boy who has lived in Ohio since the age of three, and happened to have a Muslim father who abandoned his Christian wife and family when the boy was young to be deemed as powerful an expert in Islam as a man who was born in Turkey, raised in a terrorist organization to be a jihadist, came to the U.S. as a teenager speaking no English and believing all Americans and Christians were his enemies, living with the intent on destroying America as the 9/11 bombers died trying to destroy America, but came to faith in Christ and had his life powerfully changed by the grace of God. The first testimony doesn’t sound as flashy as the second. Yet, the “factual statements that are self-contradictory” given by Caner are precisely the statements above. My prayer is that you in your years of wisdom will not allow loyalty, Veritas economics, or even a heart of compassion (which we all feel), to handcuff you from encouraging your friend to come to brokenness and repentance over his embellishments, apologize to those whom he has intentionally deceived, set the record straight, and move forward with the powerful gospel of Jesus Christ. Were this not to take place, I believe you will find the ministries of Ergun Caner to be severely limited in the future. We may simply wind up agreeing to disagree on this issue, and if so, then we will enjoy fellowship with one another for eternity through the wonderful grace of God which cleanses us all of our sins. Last year World Magazine published an article that contains a conversation between Christian intellectual and historian extraordinaire Eric Metaxas and Richard Land. Both men are fans of Woody Allen movies. I have long had this gnawing sense in me that evangelism among Fundamentalists has something inherently wrong in terms of methodology. Many "evangelicals,", some even in the Southern Baptist Convention, will yell and scream the Word of God to lost people -- acting as if the quoting the Bible will bring about a change in the hearer. There are even some commentors on this blog who are in the habit of telling others they are "going to hell" or have "never been saved" or are "in need of Jesus" and glibly quote a Bible verse as if making some kind of shocking statement and backing it up with words from Scripture will lead someone to be converted. It reminds me of street preachers who yell "REPENT" to passerbys and then shout "JESUS IS THE WAY THE TRUTH AND THE LIFE" as if somehow, almost magically, those words will bring salvation. In the interview between Richard Land and Eric Metaxas (who by the way, is the author of the new fantastic biography on Dietrich Bonhoeffer), Land asks Metaxas how he would share Christ with Woody Allen were he to sit beside him on a plane. The first paragraph of Metaxas' answer is worthy of your close examination. I have to somehow figure out how to connect with him. . . . If you come across as morally superior, that’s unbiblical, that’s wrong, it’s a lie, so you’re confused. But also you’ll push the person away. You’ve got to find a point of connection, otherwise they won’t hear you. If you walk around New York you might see someone, semi-homeless, almost always from out of town, with a hat and a Bible “preaching the word” on the street. Nine times out of 10 they are not preaching the Word any more than Satan was when he was quoting the Bible to Jesus in the wilderness. The words are not magic. Some people will respond, “The word of God will not return void,” and yes, the capital-w Word of God, the Logos, will not return void—but the words of the Bible can certainly return void unless they’re anointed by the Holy Spirit. Many people think that if they just spew out Scripture or something that people are hearing them, but it’s not true. Jesus never did that. He always connected with everyone around him. Well stated, Eric. Would to God we worked on our connections with people instead of coming across as morally superior. What Would Happen If Liberty Followed the Student Honor Code In the Ergun Caner Situation? Liberty University has an Honor Code for students that lists "Reprimands and Consequences" for violations of the Honor Code. Without arguing the rationale for why certain sins are listed in the differing categories, I would simply like to point out the consequences for Ergun Caner's deceptions were he to be held accountable to the Honor Code in the same manner Liberty University students are. DECEPTION is listed in the category of sins receiving (12 Reprimands + $50 fine) for each offense. DECEPTION is considered more illicit than gambling at Liberty (6 Reprimands + $25 fine), but less than "associating with anyone who is consuming alcohol" (18 Reprimands + $250 fine). So, while scratching my head wondering how it is less offensive to lie during the preaching portion of the communion service in Germany than it is to be present while German Christians drink real wine during communion, let's put a tally on the actual costs for Ergun Caner's DECEPTIONS according to the Liberty Honor Code. (1). I was born in Sweden. I was born in Turkey. (2). I came to the United States in 1969. I came to the United States in 1979. (3). I came to the United States through New York and learned English as a high schooler in New York. I came to the United States and settled in Ohio and attended high school in Ohio. (4). I watched the Dukes of Hazard and learned about America while a young man in Turkey. I grew up in Ohio from the age of four where my father was a local Muslim leader. (5). I dressed in traditional Muslims clothes in high school in New York and prayed traditional Muslim prayers, sometimes in the bathroom. I attended high school in Ohio. (6). I was trained in Islamic jihad to do to America what was done on 9/11. I was raised by a mother and grandmother who resisted Islamic teaching and taught me Christianity. (7). I was led to Christ at a revival service through a classmate and was disowned by my family upon announcing to my father my conversion. I was led to Christ by my grandmother. (8). My father had "many" wives as traditional Muslim men do. My father remarried after the divorce stayed married to his second wife until his death. (9). I have debated _(name)_ at _(location)__ on _(date)_. Some of the alleged persons Caner debated have no knowledge of ever debating Ergun Caner, much less meeting him. (10). My native language is Arabic. Ergun's native language is English and he neither speaks nor understands Arabic and when he says he is speaking Arabic publicly it is actually jibberish. Taking into consideration the times the same lies ("statements of fact that are self-contradictions") are recorded being told on separate occasions (Prestonwood, FBC Jacksonville, Pastors' Conferences, etc...), and enumerating other publicly documented "factual statements that are self-contradictions" one can place the number of Caner's DECEPTIONS at a conservative 350. The number could be extremely higher, but it cannot be lower based upon the video, audio and written evidence publicly available. Applying the student honor code of 12 Reprimands + $50 fine for each DECEPTION, Ergun Caner should have 4,200 official "Reprimands" from Liberty and a fine of $17,500. However, since Liberty assesses an additional fine of $150.00 for every six "Reprimands" over 30, Ergun Caner's bill would increase to a whopping $25,450. The Honor Code handbook also states that if a student has over 30 "Reprimands" he must go before the Disciplinary Committee and present a formal appeal to be allowed to continue his education. It is assumed that after 30 Reprimands, the student will no longer to be allowed to stay in school unless the appeal is approved. I am not suggesting that Liberty treat Ergun Caner any differently than it has chosen to treat him. The Committee's decision to remove him as President (Dean) of Liberty and retain him as Professor is well within the Committee's perogative. What I am suggesting is that it might be beneficial to alter the Student Honor Code Handbook so as not to give the impression Liberty's Seminary leaders are treated in a different manner than Liberty University's students. We, the students, faculty and staff of Liberty University, have a responsibility to uphold the moral and ethical standards of this institution and personally confront those who do not. One wonders where in the Honor Code the consequences for failure to confront DECEPTION is categorized? I wonder if Liberty's Elmer Towns knows the answer to that question? The Southern Baptist Convention began turning into a pantheon of celebrities and iconic heroes in 1979. Under the banner of "Battle for the Bible," we allowed ourselves to be duped into believing that caustic communicators charging other Christians with heresy were somehow courageous. We began to value the spoken anecdote more than the spoken Word. We decided we'd rather applaud a pastor calling other Christians "skunks" than a prophet calling us to personal brokenness and repentance. The Southern Baptist Convention changed in 1979. We began to value celebrity more than we did integrity. We turned celebrity into integrity and reaped the rewards. Celebrity became integrity in the Southern Baptist Convention 30 years ago. Southern Baptists applauded Caner when he told his embellished story. We oohed and ahhed as he spoke jibberish claiming it was Arabic. We were mesmerized by his jihadist story telling because we stopped seeing the exposition of the Scriptures as the role of our preachers and pastors and vaulted homilies full of anecdotes above the infallible Word of God. I am hopeful that in the Internet age, things are now changing in the SBC. Now, for some closing thoughts on the "official" report of Liberty's investigation. (1). "Dr. Caner has made factual statements that are self-contradictory." The attorney who wordsmithed the above sentence is worth every dollar Liberty paid him. The committee is saying, in obfuscated English, that Ergun Caner lied. It just sounds better to say he made "factual statements that are self-contradictory.' Notice, it is impossible to make "truthful statements" that are self-contradictory, for truth doesn't contradict. 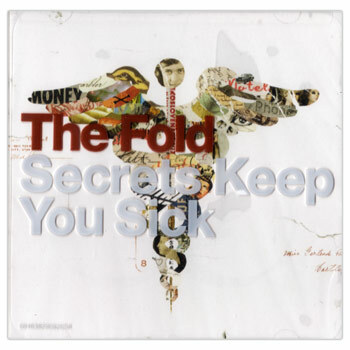 One can say "I'm making a statement of fact (i.e. "a factual statement")" and lie while making it. That's what Ergun Caner did. So, Ergun Caner lied about his past. (2). Dr. Caner is listed as "President' of Liberty Seminary on the official biographical sites, but no longer. The committee publicly stated "his contract" as "Dean" will not be renewed. Again, the attorneys involved are so soft-pedaling the decision of Liberty they could be McDonald's ice cream salesmen. Ergun Caner is President of Liberty--but no longer will be. 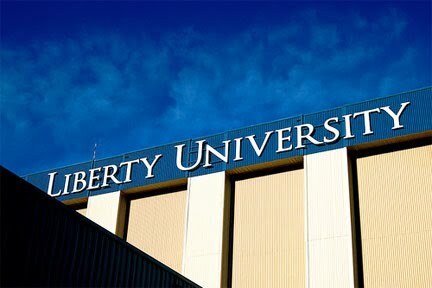 Ergun Caner has been removed as President of Liberty Seminary. The committee chose to soft-pedal the decision when announcing it. (3). Dr. Caner will continue as a professor at Liberty. According to the sources who have emailed me, this was purely the desire of Chancellor Jerry Falwell, Jr.
(4). Dr. Caner's embellishments have placed him in an awkward position. I believe he can continue in ministry, particularly teaching and speaking, but two things will have to occur. First, he will need to speak to set the record straight once and for all. This will include acknowledging he embellished to make his life more interesting and to make his status as an expert on Islam more believable. And second, he will have to relearn how to preach. It can no longer be story after story, putdown after putdown--he will actually need to exposit and exegete the Word of God. Were both things to occur, I would be thrilled to have him preach at Emmanuel. (5). The Southern Baptist Convention is rediscovering our past as a populist Convention. It is quite interesting to me that Southern Baptist bloggers took the lead in exposing the lies of Ergun Caner. In the beginning, those bloggers were ignored. Only when a few of the national media started paying attention did Liberty take notice. I think the day has arrived when Southern Baptists truly have the voice they lost over the past few decades. No longer will this Convention be run by a few. The smallest voice can be heard if truth is being spoken. 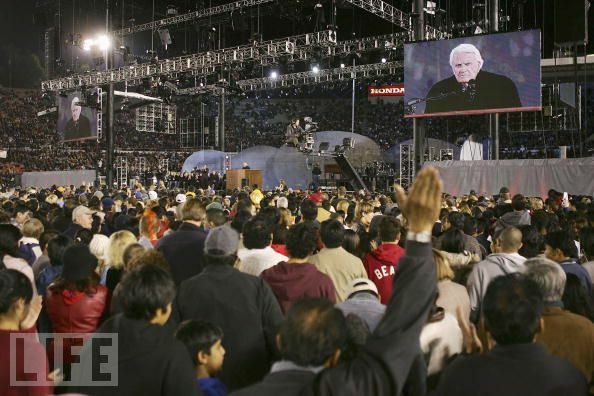 Just maybe celebrity is being seen for what it is in the SBC -- nothing. And maybe integrity is making a comeback in our beloved Convention. Stephen Fox pointed me to a column by Robert Parham entitled Is the SBC Pivoting Toward a New Future? Parham finds himself surprised that the SBC may be actually moderating on several fronts. His research and conclusions, in my opinion, are spot on. One of the examples given by Parham to prove the SBC may be changing is the "official" change of SBC position on the environment between 2006 and 2010. Parham points out that this summer's 2010 SBC resolution on the environment differs sharply from the 2006 SBC resolution on the environment. The 2006 resolution was essentially an attack on environmentalists and an attempt to distance Southern Baptists from prioritizing environmental stewardship. · attacked environmentalism as a "neo-pagan religion;"
· said the "scientific community is divided on the effects of mankind's impact on the environment;"
· suggested that earth care would distract from evangelism. · notes that nature is an interdependent system in which human beings have a moral responsibility to guard nature and to protect resources for future generations. Parham says it is most surprising that the 2010 SBC resolution refuses to trust blindly in private enterprise. It offers a moral critique of the free market. The resolution says "all industries are...accountable to higher standards than to profit alone," and that corporations have "full...accountability for damages, clean-up, and restoration." The resolution goes on to express a hope that "government and private industry are not again caught without planning," and "future energy policies based on prudence, conservation, accountability, and safety." The change in the 2010 Resolution on the Environment from the 2006 Resolution on the Environment should prevent Southern Baptists from believing or acting as if our interpretations of the Word are inerrant. Southern Baptists have changed their views on slavery, the environment and other matters. What's next.? It's a guarantee that the SBC will change their "official" view on many things in the years to come. That's not a necessarily a bad thing. Particularly if our current "official" interpretations are proven faulty. 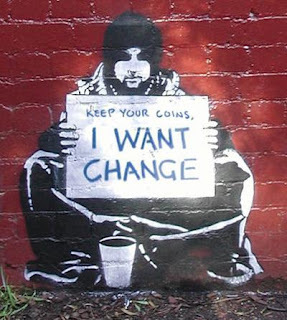 Keeping in mind our proclivity to change our "official" positions so quickly, we Southern Baptists should always be willing to listen to those with differing views. Further, we should refrain from condemning anyone who see things differently, and we should encourage open and passionate debate. Why? Because we refuse to hold to too high of a view of ourselves in always being accurate in our interpretations of the sacred text. Logan, Rachelle, Wade, Charis, Kade and Boe. There is an anonymous gentleman that goes by Matt2239 who has felt the freedom to make a few comments on a blog site called SBC Voices about me and my involvement in the SBC. Though he says he's never met me, he opines on what he feels are my views of the SBC. He writes that I have “a deep-seated animosity toward anything SBC." He further surmises that my "agenda and that of CBF’ers" is to destroy the SBC. I just have to scratch my head in wonderment when I come across someone who feels they have the ability to speak for someone they have never met. It's a little like being a food critic without first tasting the food you criticize. I would like to help Matt2239 and a handful of others get to know me a little better. 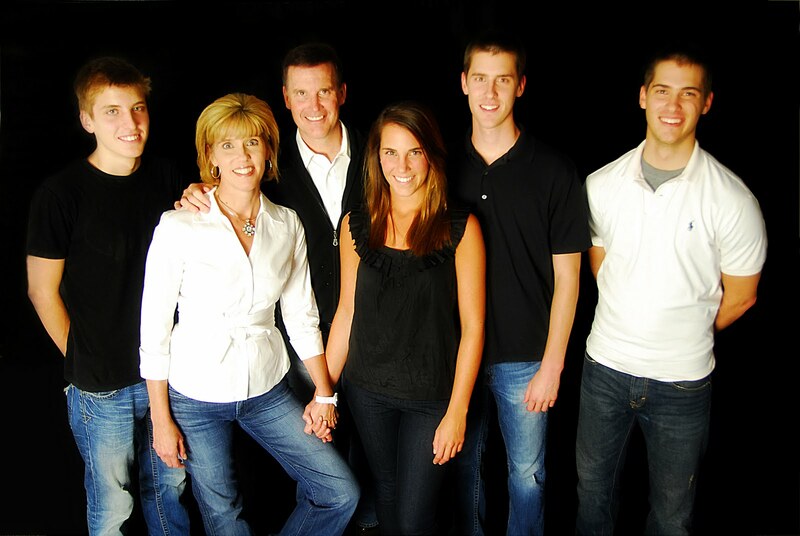 First, my family is pictured above. I've been married to Rachelle for 27 years, and we have four great kids. Charis (23) is getting her real estate license in Florida after graduating with a business degree, Kade (21) is in the Business School of the University of Oklahoma, Boe (20) is in college at Northern Oklahoma and interning with Oklahoma's next Lieutenant Governor, and Logan (16) is going to be a junior at Oklahoma Bible Academy. I pastor a Southern Baptist Church in Enid, Oklahoma that gives hundreds of thousands of dollars to mission work every year, including our support of the Southern Baptist Convention's Cooperative Program. We have twelve International Mission Board missionary units who are members of our church, with two more IMB missionaries in Russia joining this past Sunday and another two soon to join our church. We self-support two massive mission efforts in Niger, Africa and Bangalore, India, including hospitals, schools, orphanages, and water well drilling. Our church is about to launch a mission to West Africans who live in Harlem, just north of Central Park. This year our church will be directly ministering in Guatamela and Poland, as well as our continuing work in the aforementioned countries. Our church is situated in a town in northwestern Oklahoma that has just 50,000 residents, and a little under ten percent of the city's population is affiliated with our church in either membership, attendance or ministry. I have been pastor of Emmanuel for over eighteen years. We continue to make the transition from seeing church as being three worship services on Sunday morning to worship, ministry, missions and small groups every day of the week. Our theme this year is "Together in the Journey" and our goal is to ensure that nobody who is touched by the ministries of Emmanuel feels isolated or alone in their walk of faith. We are not a perfect church, nor do we claim to be perfect. We value people, truth, freedom, worship and missions. The corporate worship involves various styles of music, but the teaching is expositional in nature. We have been privileged to see over five hundred people baptized upon their profession of faith in Christ over the past five years. These numbers are meaningless except for the fact each number represents a person with an incredible testimony of God's grace and it helps dispell any notion we are not "evangelistic" because we hold to the doctrines of grace. Our church believes that half the priesthood is comprised of women, and we do everything in our power to ensure that females who have been touched by God's grace are used according to the gifts they have received. We emphasize unity in the body of Christ that extends far beyond the walls of our church, and believe that Christians accomplish more together than we do divided. We do not mind cooperating with other churches and Christians in missions and evangelism, even though we may not agree on every doctrinal point with our brothers and sisters in Christ. We believe in the supremacy and exclusivity of Christ and feel we must show Christ's love to others, even our enemies. We will not hesitate to address issues, but we try very hard to never make any issue personal. We love those who disagree with us, and we encourage freedom for all to disagree, even with church leadership. We are Christians who have chosen to affiliate with Southern Baptists. We affiliate with Southern Baptists because of the world-wide mission work that our Convention participates in. My forefathers were Southern Baptists in Texas in the mid-1800's, and I am a third generation Southern Baptist preacher (my maternal grandfather, my father, myself). I, and the people of Emmanuel, are Southern Baptist by choice and involvement. Contrary to Matt2239's assertion, my goal is not to destroy the SBC. 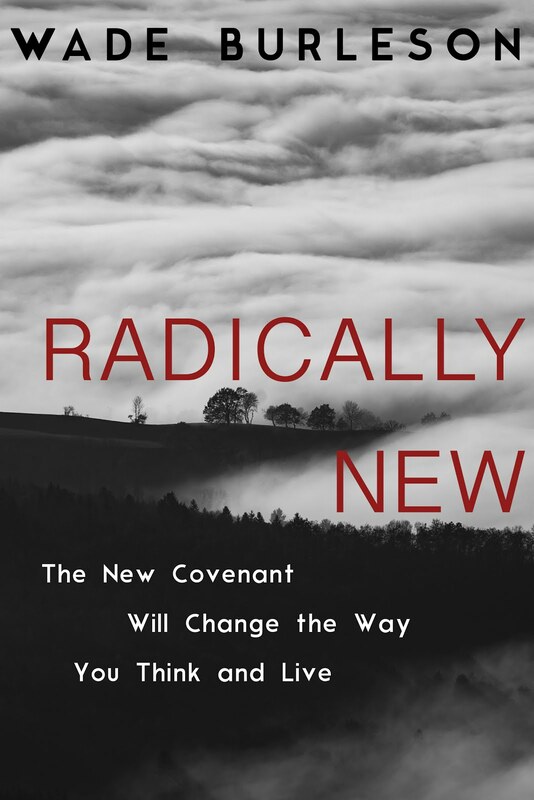 My goal is to save the SBC from falling into the trap of superficial religiousity. Before there was a Cooperative Program, there was Christ and His church. Before there was the Southern Baptist Convention, there was Christ and His church. Christ and His church supercedes everything about who we are as a Convention. Yet, we love the Southern Baptist Convention, and participate in her mission work. I freely acknowledge that some of my writing has been critical of the SBC and the silly, unbiblical decisions we have made in the past (i.e. 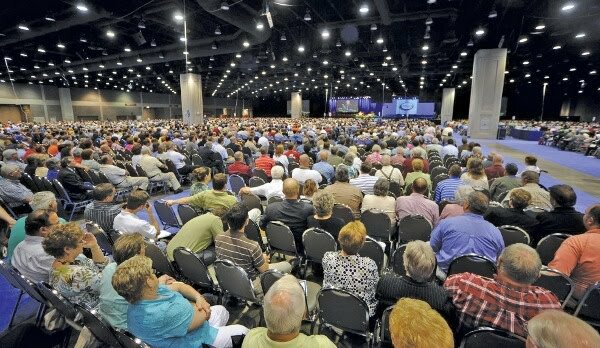 "boycotting Disney," "restricting missionary appointments over tetiary doctrinal issues," "the tight, political control of all boards and agencies by a few leaders," etc...), but my criticisms come from within the Southern Baptist Convention--not outside the SBC. One of these days Matt2239 and others like him will realize that internal critics keep an organization as large as ours humble, pliable, and missional. Were we only surrounded by people who always patted the SBC on the back, we would get complacent, lazy, and possibly even incompetent. It's the friends who criticize you in love that you remember. Too many make the tragic mistake of thinking (or saying) that if someone is ever critical of the SBC, he ought to leave. Not at all. He's the one displaying real love. Even worse, some like Matt2239, who disagree with the criticism, will try negate what is being said by attempting to make others think the critic is not even a part of the SBC. Attempts to do such things only ultimately reveal the lack of knowledge in the one who feels free to opine on a person he's never met. On my way to speak to our kids at Youth Camp at Falls Creek. Preaching Grace from the Pulpits on Sunday, Living Legalism the Rest of the Week? "To some degree, white evangelicals preach grace. But when it comes to dealing with real-life situations, there's a good deal more judgmentalism and legalism. Black churches not only preach grace, they are willing to take you where you are and if you fall down, really try to help you get up, and not punish you." Interesting. I wonder if the root problem is we Southern Baptists have far too high an opinion of ourselves. In other words, we so often boast of our numbers, our leadership, our evangelical superiority, that I wonder if the problem is we can't handle messiness, trouble, or failure. Sometimes prophets are needed to humble the proud. If for no other reason, I am glad there are Southern Baptist blogs because they keep those of us in the Southern Baptist Convention real. Today is Father's Day, and this post is a tribute to my own father, Paul Burleson. My dad is living in his seventh decade of life, but he acts like he's in his 30's. His own father was an alcoholic until late in life, when my dad led him to Christ. Dad began pastoring at the age of seventeen and has spent over fifty years in ministry, not only pastoring several churches, both large and small, but mentoring pastors from all across the United States. From 1976 to 1982 he was the pastor of Southcliff Baptist Church in Fort Worth, Texas, not far from Southwestern Theological Seminary. I can remember as a high school student going to church on Sunday night and hundreds of seminary students would all sit in the center section to hear my dad teach. 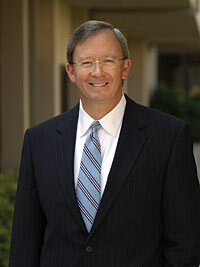 He not only related to the seminary students, he became friends with many SWBTS professors and administrators including T.W. Hunt, John Seelig, and others. His ministry continues to reach people across the nation through his revival meetings, blogs, and personal mentorship of those who frequently call him for counsel and advice. The people I pastor love to hear him teach more than anyone else. Everything I know about ministry I learned from my father. Many times on Sunday's after the roast my mom prepared for the family, my dad would sit at the table with me and discuss theology, ministry and various other subjects. He prepared me to pastor when I was only in my early twenties. But the greatest thing that I could say about my dad has nothing to do with ministry and everything to do with life. He lives and loves more than most. What I mean by that is he knows how to simply enjoy life and people. Whether its riding his motorcycle, or going to OU sporting events, or attending various social events, or ministering in churches, my dad meets people, hears their stories, and ministers to them. Ministry is not something my dad does, it defines who he is--simply because relationships are everything to my dad. Whether it is my mom, Mary, who is his best friend and love of his life, or his four kids, or a fellow pastor, or the stranger off the street, my dad is interested in people. I love to hear him laugh. 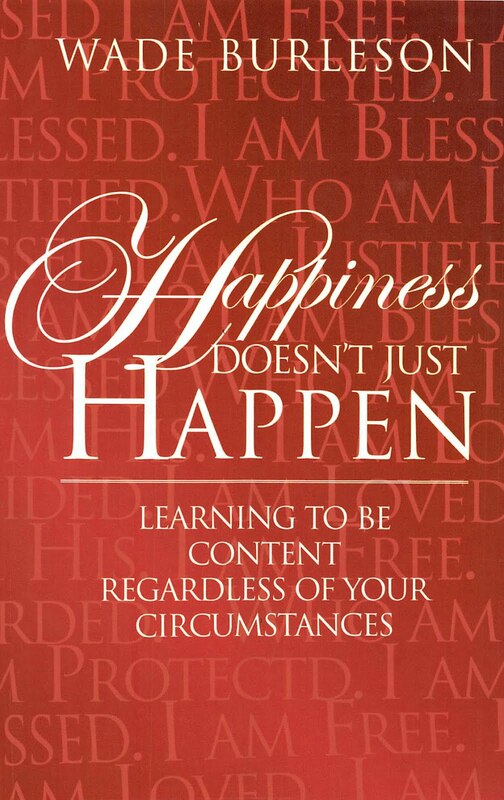 It's a laugh that comes from inner joy and happiness. 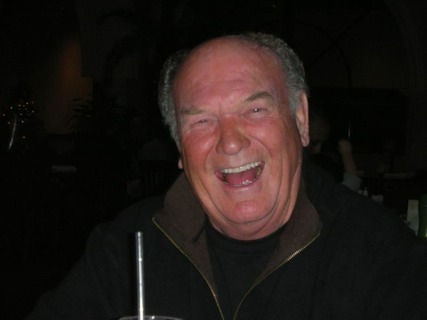 You can't fake the kind of laugh my dad has. His heart is full joy, and he makes the atmosphere around him joyful. I used to hear my dad say that when people get older "they either get bitter or they get better." That saying used to be just an illustration to me, but as I've seen my dad get older, I now see the euphemism as a more colorful reality. My dad is getting better. Not only has he not gotten stuck emotionally and spiritually, he far surpasses any human being I know in both categories. I hope that I am half the man my father is when I am his age. You are the best dad a son could ever dream of having. We are to preach the Word, and if we do it properly, there will be a call to a decision that comes in the message, and then we leave it to the Spirit to act upon people. Question: During recent years, especially in England, among evangelicals of the Reformed faith, there has been a rising criticism of the invitation system as used by Billy Graham and others. Does Scripture justify the use of such public invitations or not? The history of this invitation system is one with which you people ought to be more familiar than anyone else, because it began in America. It began in the 1820s; the real originator of it was Charles G. Finney. It led to a great controversy. Asahel Nettleton, a great Calvinist and successful evangelist, never issued an “altar call” nor asked people to come to the “anxious seat.” These new methods in the 182Os and were condemned for many reasons by all who took the Reformed position. One reason is that there is no evidence that this was done in New Testament times, because then they trusted to the power of the Spirit. Peter preaching on the Day of Pentecost under the power of the Spirit, for instance, had no need to call people forward in decision because, as you remember, the people were so moved and affected by the power of the Word and Spirit that they actually interrupted the preacher, crying out, “Men and brethren, what shall we do?” That has been the traditional Reformed attitude towards this particular matter. The moment you begin to introduce this other element, you are bringing a psychological element. The invitation should be in the message. We believe the Spirit applies the message, so we trust in the power of the Spirit. I personally agree with what has been said in the question. There was a great Puritan, Thomas Shepard, who published a famous series of sermons on The Ten Virgins. The great point of that book was to deal with this problem of a false profession. The foolish virgins thought they were all right. This is a very great danger. I can sum it up by putting it like this: I feel that this pressure which is put upon people to come forward in decision ultimately is due to a lack of faith in the work and operation of the Holy Spirit. We are to preach the Word, and if we do it properly, there will be a call to a decision that comes in the message, and then we leave it to the Spirit to act upon people. And of course He does. Some may come immediately at the close of the service to see the minister. I think there should always be an indication that the minister will be glad to see anybody who wants to put questions to him or wants further help. But that is a very different thing from putting pressure upon people to come forward. I feel it is wrong to put pressure directly on the will. The order in Scripture seems to be this – the truth is presented to the mind, which moves the heart, and that in turn moves the will. Wednesday night one of my favorite singing groups performed at the Southern Baptist Convention, Casting Crowns, and the worship was fantastic. I wish I could say as much for the preaching. The evangelist, whom I choose not to name, preached what he called a "salvation" message and offered an "invitation." The only problem was the evangelist's message contained as much gospel as there is caffeine in water. In other words, there was no good news proclaimed of what Christ has done for sinners, but there was an insistence that the sinner must follow a methodological religious ritual to save himself. This ritual consisted of praying a rote prayer by repeating the words of the evangelist, then holding up a hand to "confess" because you only "meant it if you mention it," and finally the plea for all who meant it to move to the front of the auditorium to "publicly declare your private prayer." 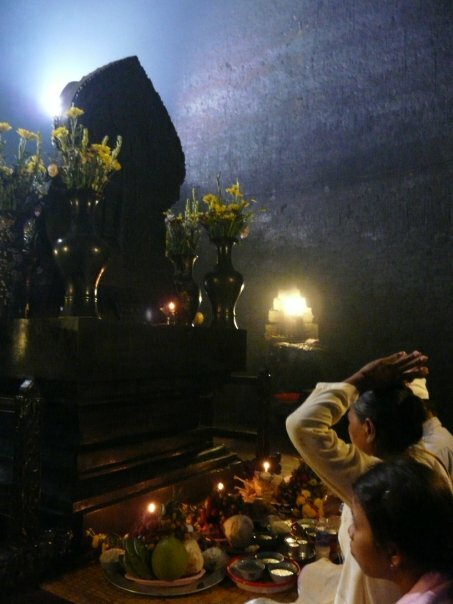 The entire twenty minutes of manipulating a listener to follow the God dishonoring ritual was preceeded by the mantra "if there's never been change, then something's strange." The notion that people who struggle with sin in their lives are somehow cured by following this peculiar ritual presented at the Southern Baptist Convention Wednesday night is more Roman Catholic than Roman Catholic mass. patiently explaining the message of good news in Jesus Christ and urging the hearer to simply believe on Christ, is turning the gospel of Christ's kingdom into a carnival sideshow. At least the comic relief softened the pain. Congratulations to Bryant Wright on his election as the new President of the Southern Baptist Convention. He has a great deal of work in front of him, and with the new Executive Director of the SBC, Frank Page, and the impending new Presidents of the North American Mission Board and the International Mission Board, there is a new day dawning in the SBC. Hopefully it will be a kinder, gentler day with people focusing on the Gospel and not tertiary issues. Our prayers will be with President Wright. I will be watching closely the vote on opening the "sealed" records of the GCR debate. I predict Chairman Ronnie Floyd, Al Mohler and Donna Gaines will speak against opening the records and the Convention will approve the Commitee's recommendation to seal the record for 15 years. I hope I am wrong because an organization is only as sick as the secrets it keeps, particularly a Christian organization. The debate and vote to unseal the records is scheduled for 8:50 a.m. eastern on Wednesday. Out of 10,944 messengers there were 9,318 presidential ballots cast. The top two vote getters for President of the Southern Baptist Convention were Bryant Wright (pictured left) and Ted Traylor (pictured right). Runoff election Tuesday night. Without the support of additional nomination speeches, it looks like the Florida pastor has the advantage (Traylor). I would predict with national online voting the outcome would be different. While catching up on some news during the 3:16 Networks (live) feed interruption of the Southern Baptist Convention, I came across the following story. 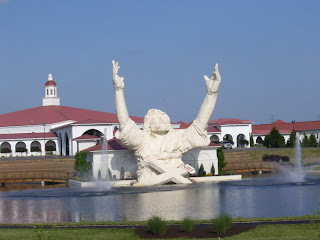 It seems Big Butter Jesus was struck by lightning and caught fire. The conservative, evangelical church in Ohio that built the gaudy statue probably attributes its burning to the devil. I see it as a symbol that the modern evangelical church has a hard time distinguishing between the reality of Christianity with the religion of Christianity. The story does, however, give me pause to reflect over the fact any religious icon we build will one day ultimately fail--whether it be a program, a methodology or a particular way of doing church. 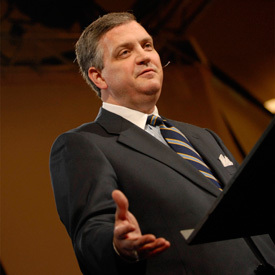 According to Al Mohler, the two most 'divisive" issues in the evangelical world 10 years ago at the 2000 Southern Baptist Convention in Orlando were division over the exclusivity of Jesus Christ and human sexuality. Al suggested the SBC spoke to both issues and passed the 2000 Baptist Faith and Message at that Convention. It is unfortunate that Al Mohler is not more specific. The exclusivity of Jesus Christ is something upon which all Southern Baptists agree. Human sexuality , however, can mean either an opposition to "homosexuality" or an emphasis on ensuring the femine gender is placed in their proper role -- underneath the authority and leadership of the male. My question for Al Mohler is a specific one: "Are you referring to homosexuality or the role of women in the evangelical world when you speak of human sexuality problems in the church today?" It seems to me that those two issues are TWO different issues, and to confuse them is not to be intellectually forthright, for conservative, evangelicals differ over the role of women but are in agreement in opposition to homosexual behavior. Four men were nominated for President of the Southern Baptist Convention: Jimmy Jackson, Leo Endel, Ted Traylor, Bryant Wright. By applause for the respective nomination speeches it is hard to tell who might be elected. However, of all the nominating speeches, David Uth's speech (he's pictured here) on behalf of Bryant Wright was the best in my opinion. It should be a close vote with no candidate receiving over 50% of the vote. That means there will be a runoff vote later today. My prediction is the runoff will be between Jimmy Jackson and Bryant Wright, though it wouldn't suprise me if Ted Traylor, the hometown Florida pastor doesn't replace one of the two mentioned above in the runoff. (Update: Bryant Wright and Ted Traylor are in a runoff). Six motions from the Tuesday 8:30 a.m. business session (this is the business session where SBC messengers can offer their recommendations from the floor without any previous notice to the SBC) were referred to the Executive Committee, and all other motions from Tuesday morning business session were ruled out of order--except for one. The Committee on Order of Business has scheduled the entire Convention to debate and vote on whether or not to overturn the Great Commission Resurgence Committee's decision to seal the minutes and debate of the GCR meetings this past year. The motion is scheduled for debate and vote at 8:50 a.m. eastern time, Wednesday morning, June 16th, 2010. If Southern Baptists know what is good for us as a whole, this motion will pass. Every single platform person, GCR Committee member, and Executive leadership will speak against the motion to unseal the records. We'll see if our Convention is learning to become open and up-front about our business as all Christian ministries should be. I have watched every single minute of the Southern Baptist Convention this Tuesday morning. I have probably paid more attention to what is being said, and to what is being done, than at any other time in my twenty five years of participating in Southern Baptist Conventions. That's the convenience of being able to follow the proceedings on the Internet. There were only 8,541 registered messengers at 8:00 eastern, and probably only 4,000 in the hall. There might very well be double that number watching the proceedings on the Internet. If those watching were allowed to vote as duly elected messengers, the numbers would quadruple. One of these days the SBC will allow voting by duly elected messengers via the Internet. We already register electronically, we already have the means by which we watch the Convention electronically, all that is missing is the will to allow messengers to vote electronically. It's not a matter of if, but when. What is stopping the Executive Committee from allowing national participation via electronic participation? Let me illustrate. One of the interesting moments in the morning session was the Nominating Committee report. To avoid making this personal, and to focus only on the issue of control, I will not use names. (1). The woman he was nominating had ALREADY served a four year term on the North American Mission Board. (2). It is customary for the Nominating Committee to recommend Southern Baptist board members for REELECTION to an automatic second term unless there are extraordinary circumstances that would prohibit the expected nomination for a second term. (3). The messenger who was recommending the woman to given her second term to the North American Mission Board was himself a TRUSTEE of the North American Mission board and he testified that the woman he was Nominating had served with distinction. We were told that she had major surgery, but dutifully made every trip from Alaska for the board meetings. She had NEVER missed a board meeting, served conscientiously, and had given the committee NO REASON NOT TO REELECT her. (1). This is not about personalities. (2). The two members of the Nominating Committee from Alaska "prayed" about their nomination and felt God wanted them to appoint the pastor and remove the woman (i.e. that's church speak for the two Nominating Commitee members from Alaska had a buddy they wanted to serve, and this woman stood in the way). (3). Trust the Nominatee Committee's work, and follow their leadership, and "sustain the report." 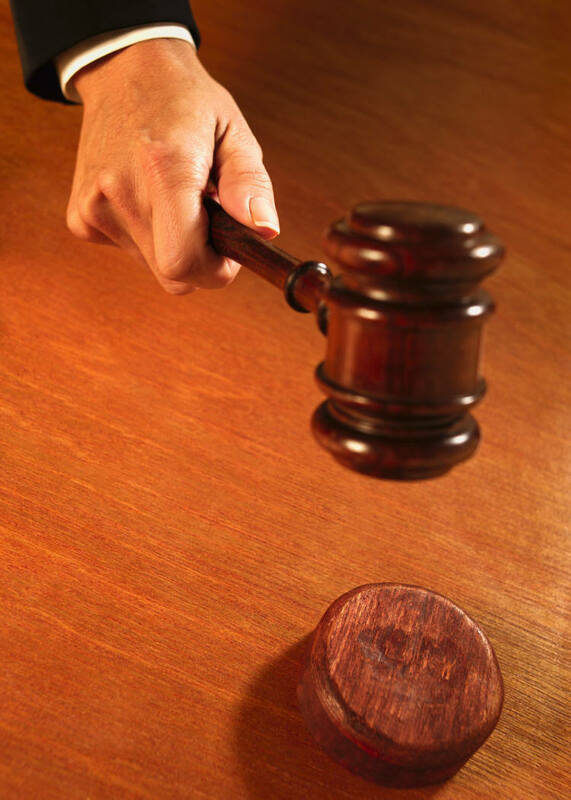 The messenger's substitute motion failed and the woman who had served with distinction was removed from board service. All because of the whims of two people: Two people from Alaska who serve on the 2010 Nominating Committee. One of these days Southern Baptists will realize it is much better to have decisions in the hands of many rather than in the hands of two. The Southern Baptist Convention is being choked by political control by a few who wish to direct the entire work and ministry that is being done. Again, it's not a matter of IF the SBC will change through electronic participation, but WHEN it will change. I will continue to push that it changes soon. (1). Wes Kenney moved that the SBC reject (again) churches affirming or approving homosexualty, this time his motion addressed specifically the Alliance of Baptists and their affiliation with Baptist churches that support homosexuality (edit: thanks to Steve Devane who correctly points out the motion is addressing churches associated with the Alliance of Baptists and not the BWA). 35% of elected board members from church with more than 200 but less than 1000 in attendance. 25% of elected board members from churches with more than 1,000. (3). A messenger moved that the Executive Committee move in the next five years to amend the SBC unified budget so that the International Mission Board will receive 60% of the total CP receipts. 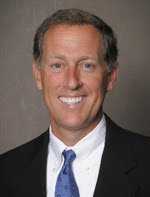 (Opinion: Until there is greater evidence that the IMB administration and trustees are showing greater fiscal management in the continual reorganizations of field work, trustee board meetings, and practice a refusal to reduce missionary benefits in efforts to "save money," I would be opposed to the IMB receiving a greater percentage of CP funds). (4). One messenger, a West Virginia pastor, moved that the 2010 Convention call for a National Solemn Assembly of prayer in July, and that all SBC leaders convene for this purpose. (Opinion: It doesn't look real good for the SBC to vote down a motion to convene for prayer, but the logistics of such a meeting require much more planning than one might think). (5). One brave messenger moved that "the minutes and audio of the GCR Committee be open for review for all Southern Baptists" and not sealed for fifteen years as was previously stated. (Opinion: This, in my opinion, is one of the most important motions made at the SBC. If it fails, it will say a great deal to me about where we are as a people). (6). One messenger, the colorful T.C. Pickney of Virginia, moved that Article 5 of the SBC Constitution dealing with "officers" of the Convention be amended. He wants the President, Vice-Presidents, and all other SBC officers to come from churches "that contribute at least 10% to the CP." (Opinion: Almost every SBC officer since 1979 would have been ineligible for election were this amendment to have been in effect at the time of their election). (7). One messenger voted that "Great Commission Giving" be defined as that money given ONLY to SBC associations, states, and the Lottie Moon and Annie Armstrong Offerings. (Opinion: This is a slap at the GCR Report). (8). Dwight McKissick moved that Article 3 Section 1 of the SBC Constituition be amended to refuse to seat messengers that come from churches that practice "racial discrimination." (Opinion: Everyone is symathetic to the motion, but it might be hard to prove that a church is practicing racial discrimination). (10). One messenger moved that the U.S. Christian flag adopted as the banner of the SBC Great Commission Resurgence. (11). The motion that received the most applause was the pastor who asked that the Executive Committee investigate the price of the parking passes at all future Conventions and PREPUBLISH the price so messengers won't be surprised by the amount the pass costs. Great applause everywhere. (Opinion: Must be quite costly to park in Orlando). (12). Keith Eitel, Professor of Missions at SWBTS, moved that the GCR Committee define "missional and contextual" BEFORE the vote on the GCR Report. (Opinion: This should give everyone a clue that some of the opposition to the GCR Report and the cool reception to Frank Page during the Executive Committee yesterday originates from SWBTS administration). There were other motions, mostly insignificant ones, including a motion for the SBC to make recommendations on partisian political bills in Washington, D.C.. These motions will either be referred or ruled out of order. I am now listening to Morris Chapman's report on behalf of the Executive Committee. Executive Committee treats new boss shoddily - (Monday, June 14, 2010) by Norman Jameson, Biblical Recorder Editor. "Frank Page was elected president-elect of the Southern Baptist Convention’s Executive Committee during a bizarre and shoddy exercise June 14 in Orlando. 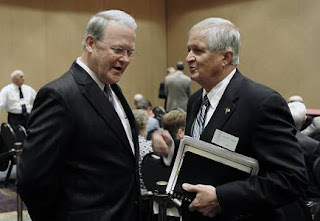 Although falling short of the rhetorical heights scaled by Rogers, the role of Executive Committee president is very significant in Southern Baptist life, even though it is not well known. 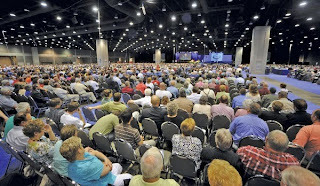 The Executive Committee functions as the Southern Baptist Convention between annual sessions of the SBC. Its role in recommending the Cooperative Program budget and allocations makes it both significant and a target for any who seek to influence those important duties. During the past couple weeks a concerted effort was made to derail Page’s election for a variety of reasons. Emails zipped among Executive Committee members and votes were tallied as if the meeting was held in a legislative building in Washington D.C. Page was brought to the Executive Committee as the recommendation of its own search committee. He was on the Great Commission Resurgence Task Force, a fact which did not endear him to those who oppose the GCR Task Force recommendations. More significantly, those who favor the task force resented Page’s outspokenness on the task force and firmly held position that the final recommendations must give the trustee boards of SBC entities responsibility for whatever they decide to implement. 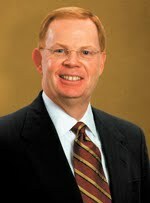 Page was opposed for his audacity to hold the GCR task force to observe Southern Baptist polity and respect the process. He is even said to have threatened to present a minority report if such polity was not respected. That irked SBC elected leadership and task force leadership. Other issues burned beneath smokescreens, such as the feeling that Page had not invested enough of himself in the “conservative resurgence,” that he had not paid the price that others had during the theo/political turmoil of the 1980s and 1990s, yet was getting the reward of the top SBC position. Of course all of that is off the record, behind the scenes, non-attributable information gleaned from conversations with those who know, because the 90-plus minute grilling of Frank Page took place in executive session, with no press or visitors allowed. Executive Committee member Stephen Wilson from Kentucky pled passionately to leave the meeting open, honoring Southern Baptists and following the lead of retiring Executive Committee President Morris Chapman. Ironically, Wilson had just returned from vacation in Ireland and did not even know Page’s election was about to be challenged. He moved for an open meeting just on principle. Imagine that. After about 90 minutes Page emerged from the meeting room into the lobby where press and friends waited, sweat glistening over his face. He answered a few questions while waiting for the Executive Committee to vote on his professional fate on the other side of the door behind him. After about 10 minutes those doors opened, indicating the committee members had voted and the meeting was now open to others. Page walked in with his family, closely followed by press and friends. There was no reaction in the room. Executive Committee members had taken a break when the door opened. They were milling about, talking amongst each other. Only two people came to Page to shake his hand. I heard one say, “Welcome to Nashville.” That was the first indication that Page had, in fact, been elected. Page’s family took seats while he wandered among the Executive Committee members, shaking a few hands. Then he returned to his family and took his own seat. Still there was no announcement, no applause, no acknowledgement that he was even in the room. After another few minutes Chairman Randall James said he would give committee members another three minutes to gather. When they finally returned to their seats, he announced that they had elected Frank Page their new president and chief executive officer. Only then did Page and his wife Dale walk forward in the midst of their applause. He promised to love them with all his heart, and work with all his might. James did not announce a vote, although the unofficial tally was 44-30. I trust Page’s tenure at the top administrative spot in Southern Baptist life will be more auspicious than was his election to it. And I trust that those who opposed Page over his adamant position that SBC polity be observed, will observe their own recommendations in the GCR report for "shared values" of unity and trust." I heard tonight, for the first time, Andy Stanley speak. I realize he is a big conference speaker, and many on our staff have heard him numerous times and love his teaching style, but as strange as it may seem to some, Andy's message tonight at the SBC Pastors' Conference was my first opportunity to hear him. I was looking forward to hearing him, squeezed between Al Mohler and David Platt. Here are a few of my observations regarding Andy. First, Andy would make a great motivational speaker or Fortune 500 CEO. He is articulate and persuasive. He had three major points, two of which came from statements of famous CEO's, words of wisdom that Andy applied to Southern Baptist churches and pastors. For example, he asked pastors "What would change at your church if you were fired and a new guy was brought in?" 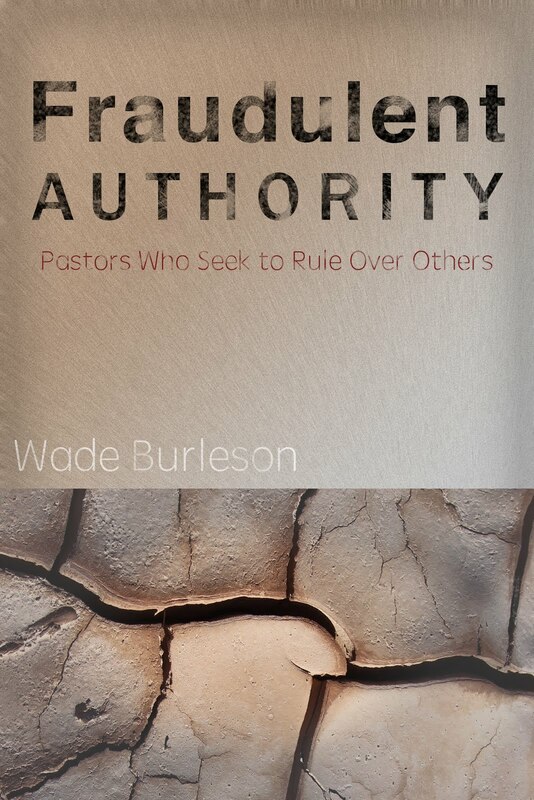 He explained, rightly so, that too often pastors and staff get comfortable in their traditions, routines, and methods--and churches get the kind of results for which they are institutionally structured to receive. He said that most pastors work to keep the people they have instead of working to reach the people they don't know. I n other words, church is designed for church people--and lost people have no "need" for church. Therefore, Andy suggested churches should take a look at EVERYTHING they do and restructure to reach people in need of Christ. "Everyone will live someplace forever." Churches, according to the euphemism Andy adapted from the CEO of Chick Filet, "shouldn't worry about getting bigger, they should concentrate on getting better." I understand why Andy has 20,000 people attending his church. The church has been designed to make the lost people comfortable. That's not a criticial statement at all. It's a true statement. I thought it was particularly profound that Andy said he tells his staff, "Make sure the only thing that is offensive to the lost who come to our church is what I say. The gospel offends, but we don't need anything else to offend." Good for him. He understands that the gospel is offensive. Andy's methodology seems to work--particularly in the southern culture of the United States where people expect to be comfortable in everything they do. There's no way I can be critical of what Andy said. He was articulate, entertaining, and expressed a vision for establishing the design of a church to bring lost people to Christ. What must not be done, in my opinion, is to package the style of Andy Stanley and demand that all should imitate it. Truth be told, churches that build edifices and programs for comfort aren't really designed to succeed in times of travail and trouble -- nor do we really make a difference in the world at large. But that's another message -- maybe a David Platt message.